December proved to be a busy month in the UK but quieter internationally. We delivered a portable battery powered ammonium monitor to Anglian Water which was bespoke engineered by PPM. Training was given to operational Scientists who will use the instrumentation for short term installation at Waste-Water Recyling Centres, to capture trend data pre and post nitrification treatment. Existing portable ammonium monitors were also serviced for an adjoining region so they could be redeployed. 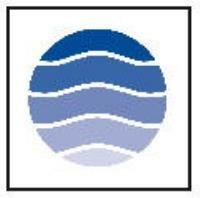 A significant purchase order was also received from Affinity Water for turbidity instrumentation. 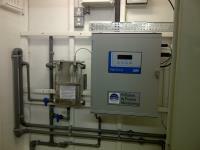 Thames Water purchased a portable turbidity system for spot sample analysis at waste-water treatment works. The Nephlometer is low cost, simple to use and allows for fast and accurate, field assessment of physical water quality. 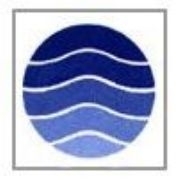 Affinity Water purchase ten microtol turbidity instruments Affinity Water use the microtol Turbidity instrument at their Clay Lane water treatment works and neighbouring sites. Ten additional instruments have been purchased and this order follows many years of using the HF microtol technology. The competitively priced instrument is small, compact and simple to operate. The turbidity meter is used throughout key stages of the water treatment process including final treated water to ensure compliance to the Drinking Water Directive. Six Protoc 300 TOC analysers ordered for Unilever plant We have received a significant purchase order to deliver six individual water quality monitoring systems to Unilever. The water quality monitoring stations comprise our Protoc 300 TOC analyser which will provide continuous measurement of condensate break-through of for organics. The analysers will be pre-installed within GRP enclosures which are wired and plumbed by PPM engineers before delivery to site. The secondary GRP enclosures will also contain precautionary sample preparation, using a PPM stainless steel cross flow filter, frost protection and lighting. Please send me more information on PPM News-December 2017.